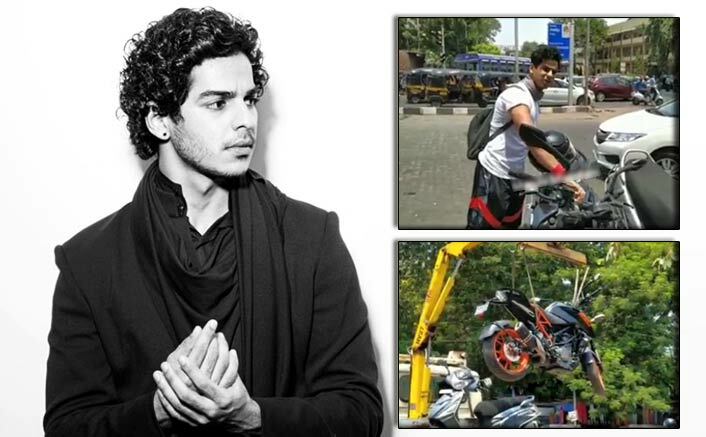 Home » Bollywood News » VIRAL VIDEO: Ishaan Khatter Breaks Traffic Laws, Ends Up Paying Fine! Upon exiting the restaurant, 23-year-old found his bike being towed by the traffic police for parking it in no parking area. Ishaan Khatter soon was crowded by the shutterbugs, but seem like he wasn’t too pleased given the awkward situation. Actor Ishaan Khatter says Dhadak brought a positive change in his life, and now he wants to challenge himself by recognising the right opportunities.